It’s so hard to say goodbye, to yesterday. Unless yesterday is the future, but the present day is so perfect. 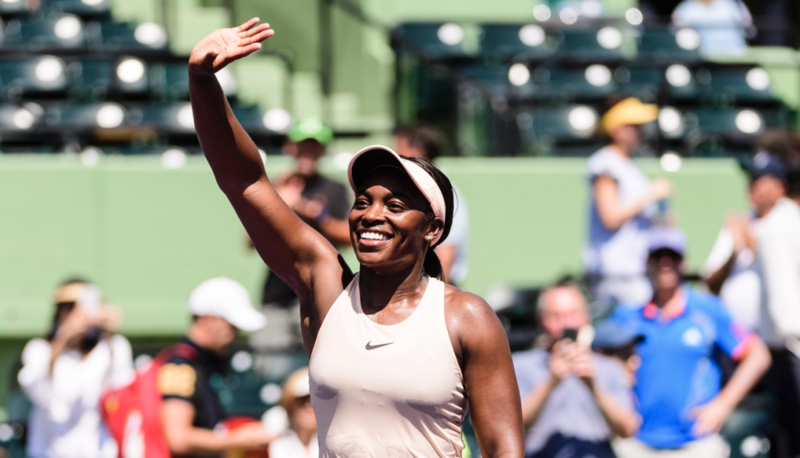 The Miami Open is moving, and Sloane Stephens is a South Florida native who has become the final women’s champion to play at Crandon Park Tennis Center on the Key Biscayne Island by beating Jelena Ostapenko 7-6 (5), 6-1 Saturday, improving to 6-0 all-time in championship matches. Stephens collected her first career Miami Open title. She was born in South Florida, played on Key Biscayne as a junior and lives in nearby Fort Lauderdale. That made the reigning US Open champion especially eager to win the Miami Open before it moves 18 miles north next year to away from the water and to the NFL Dolphins’ stadium. “I grew up playing tennis here; I’m definitely happy that I could be the last person to win here” Stephens stated. “I’ve had some amazing experiences here, and I’ll definitely miss it. I just feel fortunate I was able to do this here in South Florida with all my friends and family watching. Stephens was the surprise champion at the US Open last September, and then lost her next eight matches, including the first two of 2018. But she shook her slump on Key Biscayne, improved to 6-0 in finals and will break into the top 10 for the first time at No. 9. 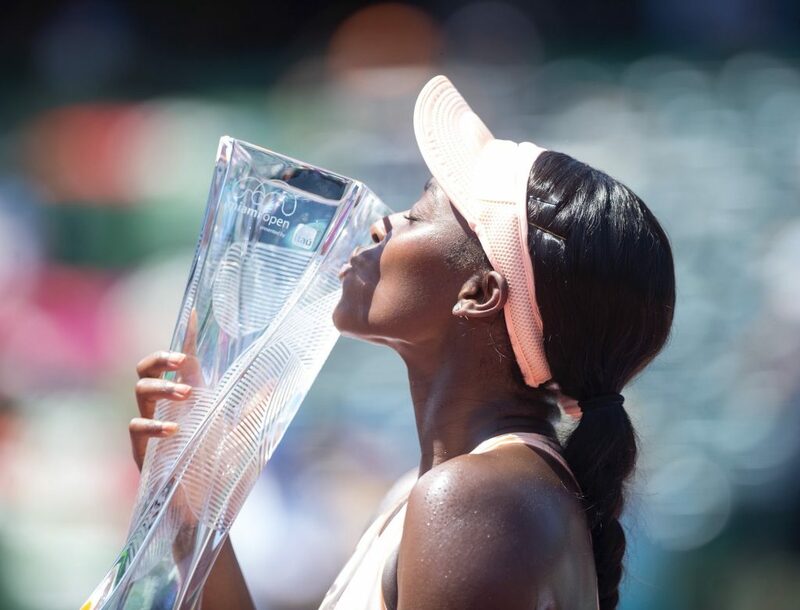 “Obviously, winning the tournament is the cherry on top,” Stephens added. The lucky No. 13-seeded Stephens won with defense, repeatedly extending rallies until Ostapenko would make a mistake. Ostapenko had a 25-6 advantage in winners but committed 48 unforced errors to 21 by Stephens. Stephens swept the final six games, clinching one with the shot of the match. Ostapenko chased down a drop shot and punched it back, but Stephens stretched near the baseline to hit a forehand volley crosscourt for a winner. She wobbled again leading 6-2 in the pivotal tiebreaker, committing unforced errors to squander consecutive set points. But Ostapenko dumped an easy backhand into the net to lose the set, and the Latvian appeared to tire after that. There were boos when tournament director James Blake updated the tennis fans the tournament will be relocating. I will not get into the politics of the relocation however the competition does need a new boost better yet a new face-lift. Serena Williams was eliminated in the opening round of the tournament, Roger Federer was shocked in his loss, and yes the storyline for Stephens was terrific but the wow factor to sell tickets diminished early. The move is exciting. A new facility can help turn heads for the future with only amazing things ahead.